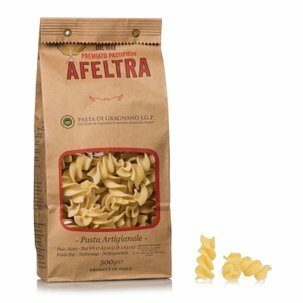 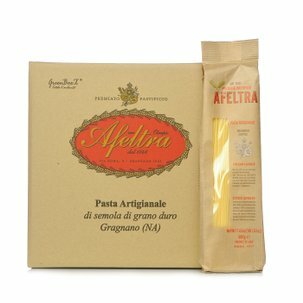 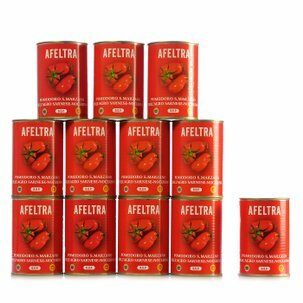 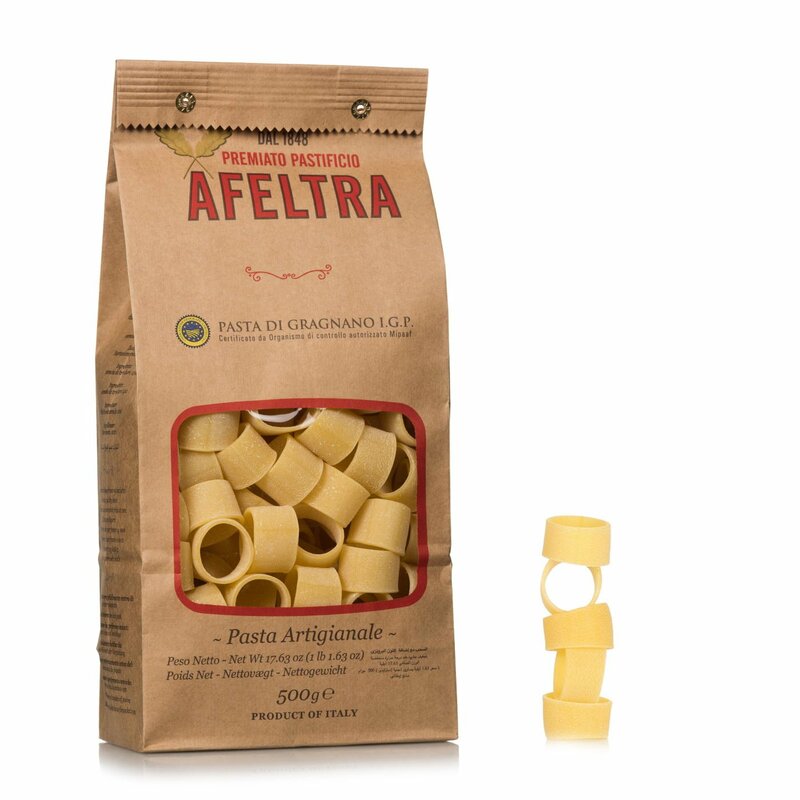 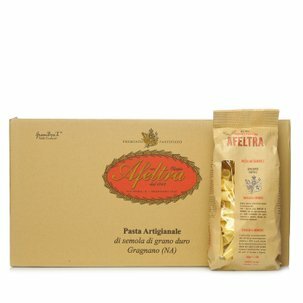 With the calamari, Afeltra proposes a type of pasta created for true connoisseurs who love the flavour of sauce combined with the high quality of durum wheat semolina. 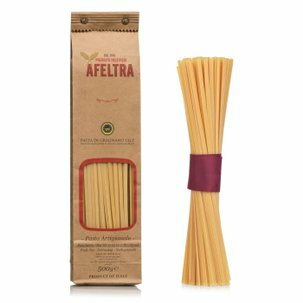 Thanks to the careful preparation, in fact, the surface and texture of the pasta are perfect for holding the condiment you select, for an authentic concentration of Italian flavour. 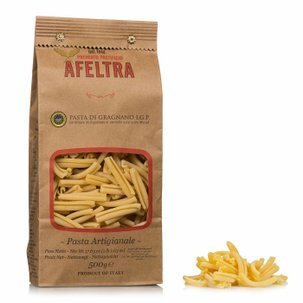 Try them with the traditional calamarata: this dish of Neapolitan origin combines this type of pasta with calamari rings and a light sauce with fresh cherry tomatoes, garlic, parsley and a touch of chili.